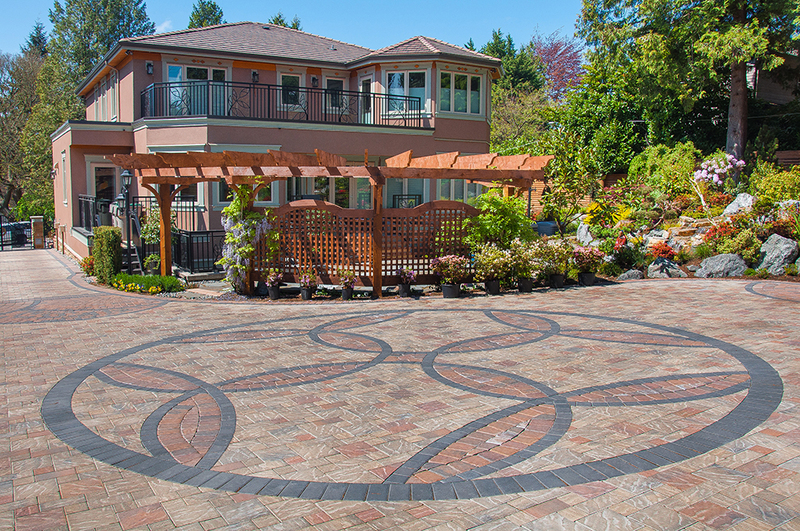 Marpole Residence - Isidore Landscapes Inc.
One of our largest design-build residential projects, we worked closely with the client and builder to achieve a garden out of the ordinary, including custom paving patterns in the driveway, a large gold stone waterfall with LED lights, mortared coloured river rock patterns in the flagstone patio and a large selection of lighting. 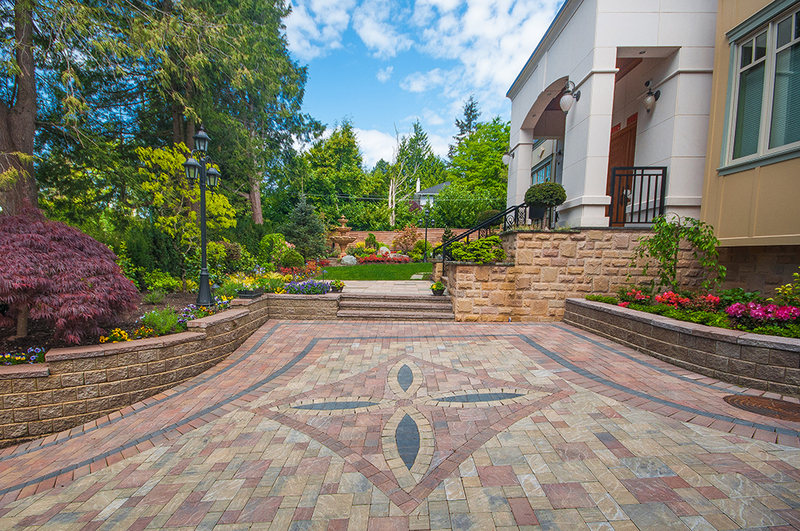 Challenges of the design and installation included complex initial site grading, installation of wall lighting, intricate patterns chosen by the owner to fit into the driveway and difficult grade changes. 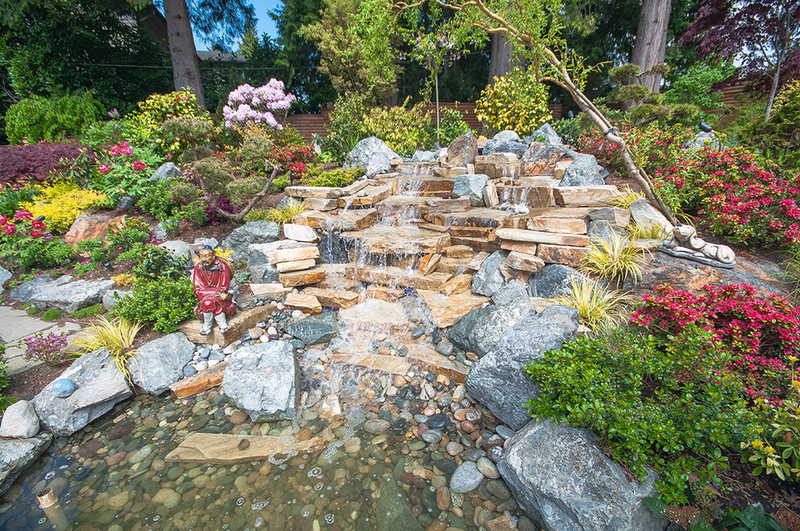 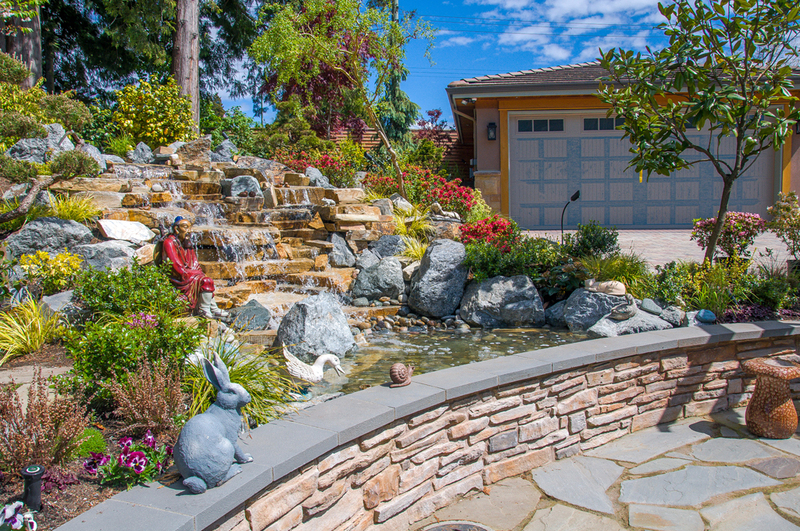 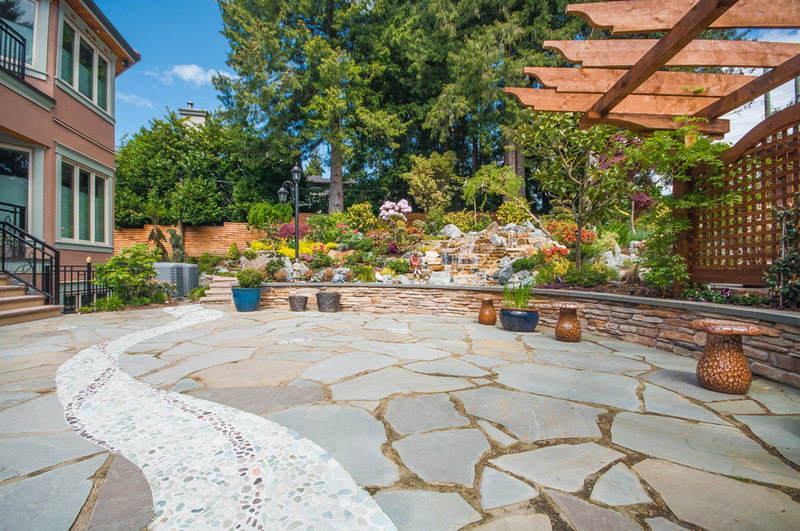 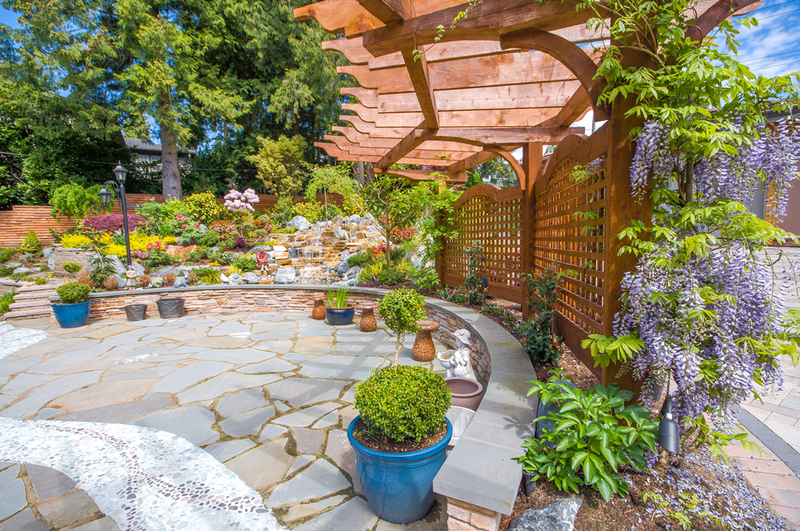 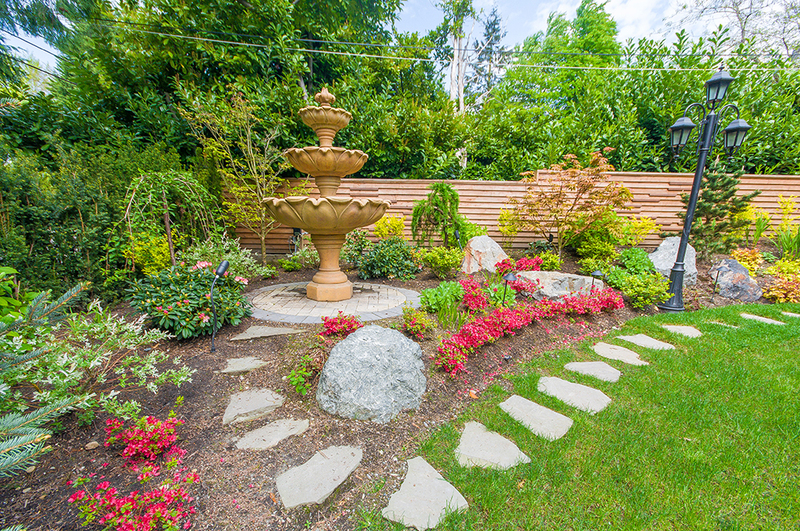 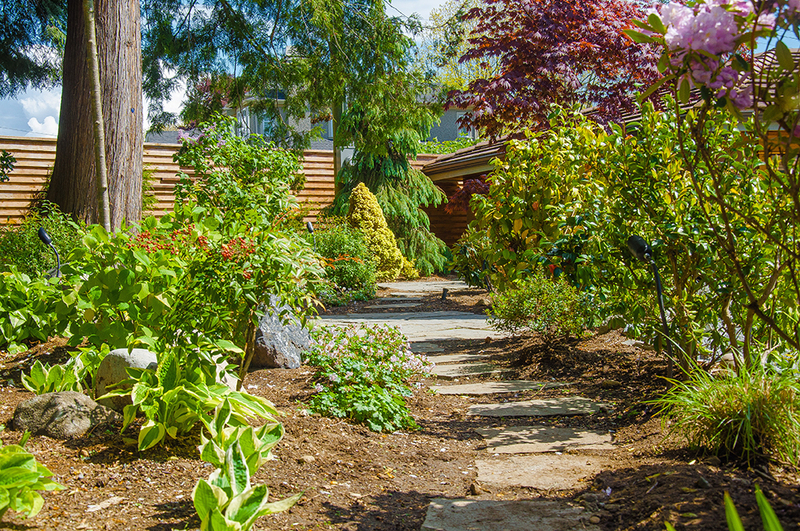 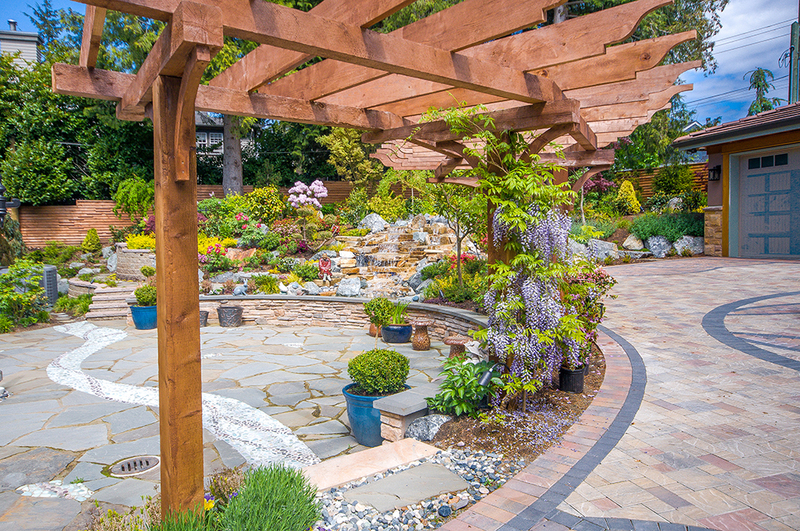 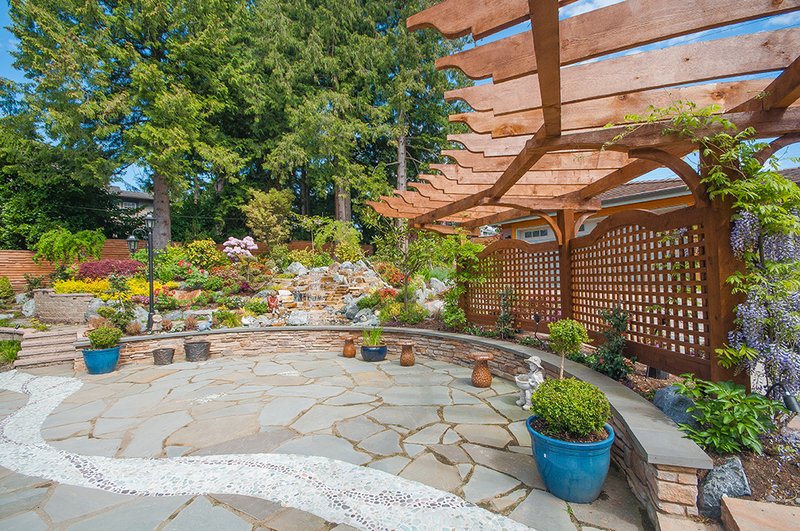 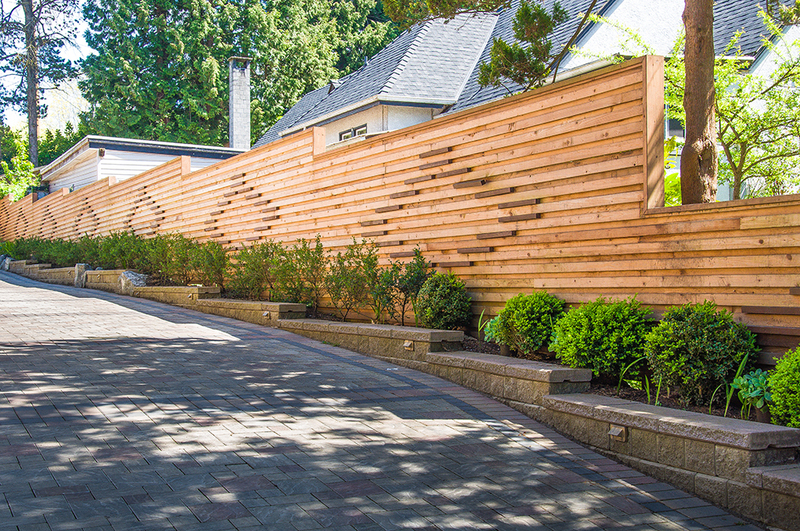 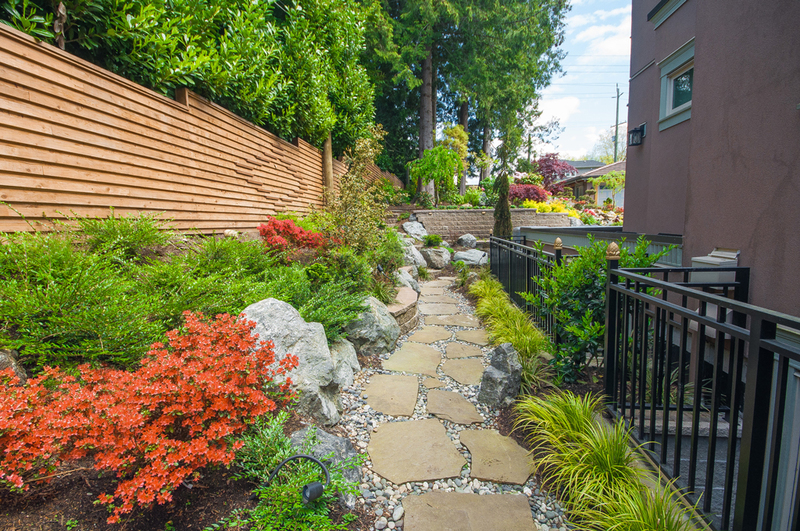 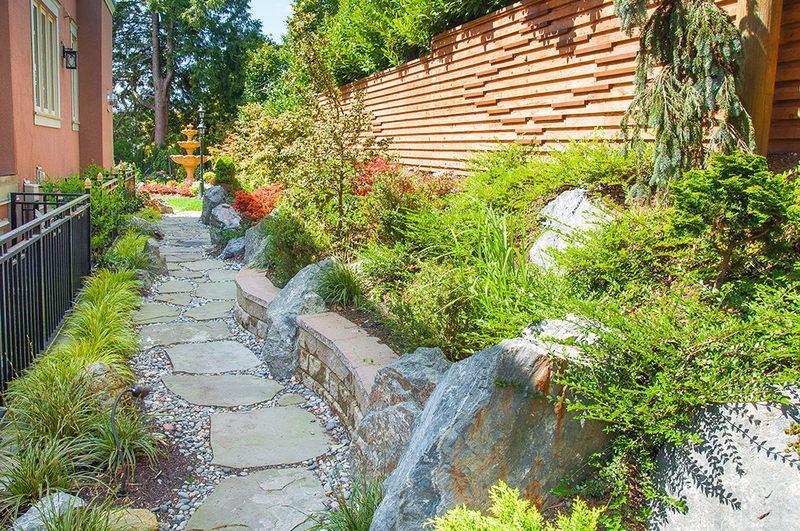 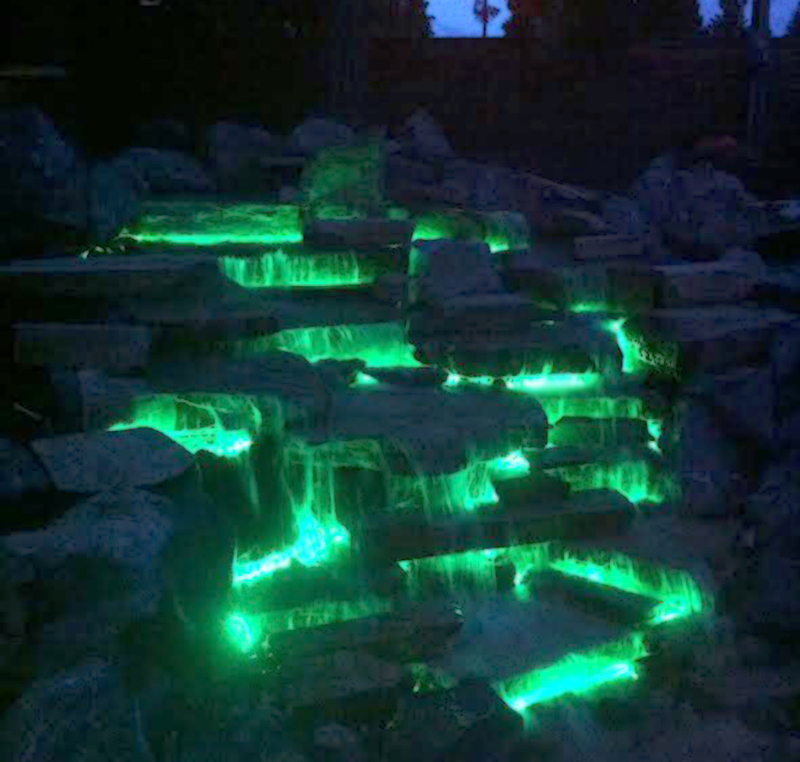 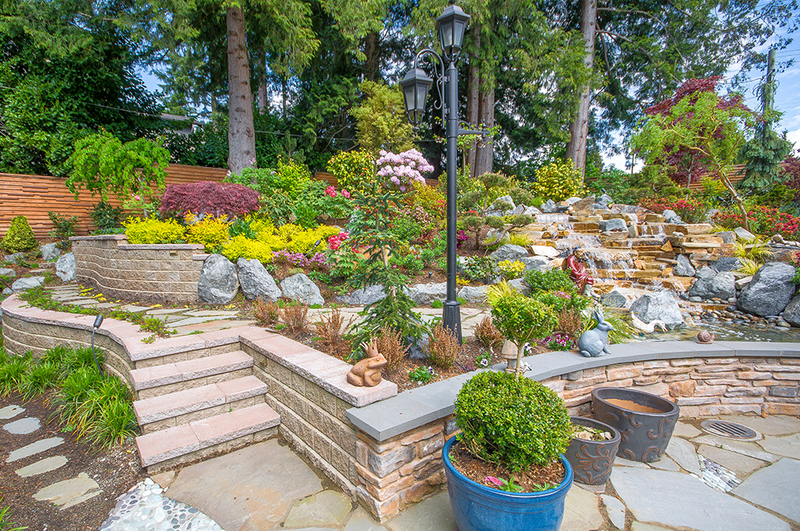 Other areas of the scope included growing and providing all plant material from our nursery stock, turf, custom cedar fencing, basalt boulders, landscape lighting, flagstone stepping stones, mortared concrete wall with stone facing and Pisa block walls.